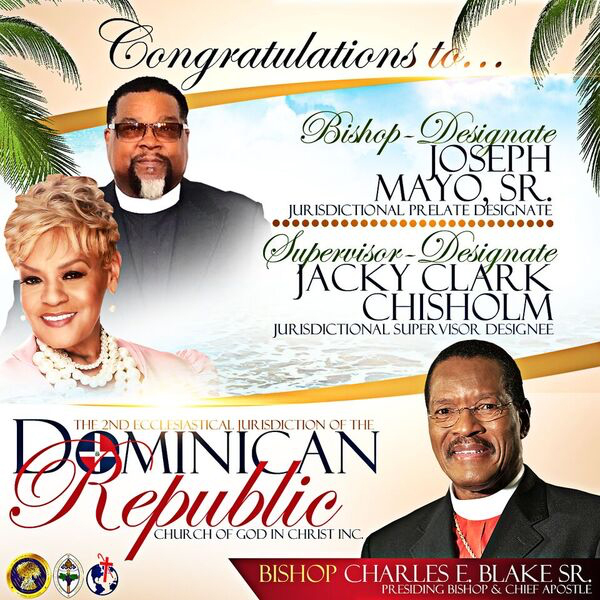 Jacky was recently named Supervisor of the Church of God In Christ in the Dominican Republic! She proudly accepted that responsibility and, on November 9th, she officially took on the position. It includes her and Bishop Joseph Mayo Sr. of Virginia overseeing the order in which the activities of the C.O.G.I.C. are executed. A task that requires much focus and consistency. But if you know Jacky you know she comes with a lot of both! Stay tuned as she works her way into this new chapter in her life!